Our Hunter Green Lace Short Dress with 3/4 Sleeves is so pretty! It features a pretty Hunter Greem color and all over lace detail. The perfect cocktail dress for any occasion! 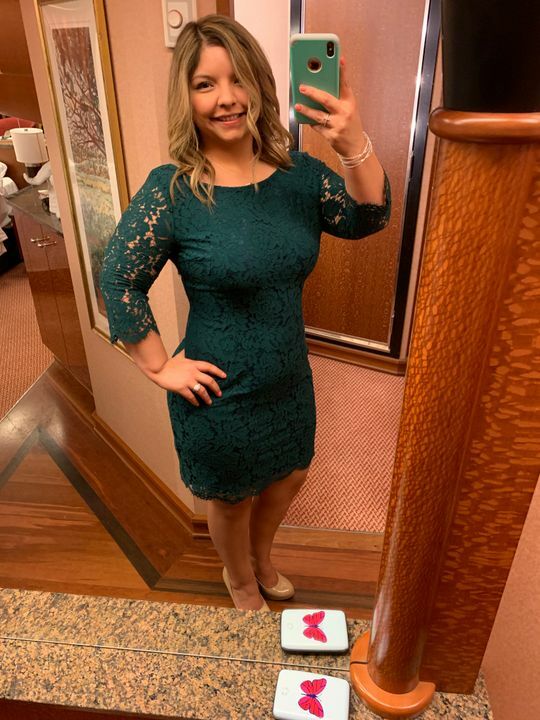 I wore this recently on a cruise for formal night. I absolutely loved it! Perfect for more future special occasions! Amanda H. Reviewed by Amanda H.
So classy and well-made. Perfect christmas dress.